Prominent & Leading Supplier and Manufacturer from Ahmedabad, we offer Filling Lines such as Ampoule Filling Line, Vial Liquid Filling Line, Vial Powder Filling Line, Dry Syrup Powder Filling Line, Oral Liquid Filling Line, Cosmetic Filling Line and many more items. We are among the prominent players in the industry for manufacturing and exporting Ampoule Filling Line. 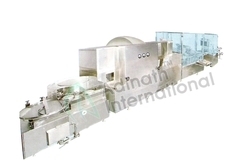 The offered filling line consists of equipment for washing, sterilization, filling, inspection and labeling in a single line. This assembly is made in tune with the international standards and is extensively demanded in pharmaceutical industries owing to its high speed and durability. We are among the recognized names in the industry for manufacturing and supplying Tablet Production Line. 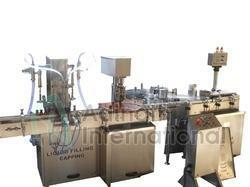 The offered production line comprises of machines required for formulating tablets in the pharmaceutical industry. This production line is durable, resistant to corrosion and requires low maintenance. It is made in tune with the industry standards and is available at cost-effective prices. We are among the recognized names in the industry for manufacturing and supplying Capsule Filling Line. The offered line is made in tune with the industry standards for meeting the demands of the clients. This filling line comprises of machines organized in a single line for washing, sterilizing, filling, sealing, inspection and labeling of ampoules. It is meant to increase the productivity and decrease the downtime of work. We are manufacturer and supplier Vial Liquid Filling Line. This filling line comprises of equipment for washing, sterilization, filling, sealing, labeling and inspection of vials. Vial Powder Filling Line consist Vial washing, sterilization, filling Stoppering, caps sealing inspection and labeling equipments. 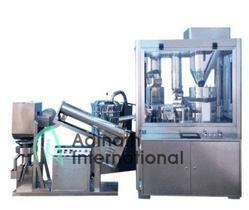 All equipments align together to work as complete system of vial filling line. We have in our assortment different types of vial filling line suitable as per small, medium and large production. Our range consist 120 vials per minute, and 240 vials per minute. Dry Syrup Powder Filling Line consist Bottle washing, sterilization, filling Stoppering, caps sealing inspection and labeling equipments. 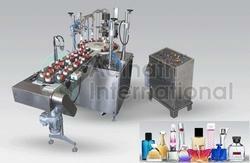 All equipments align together to work as complete system of bottle filling line. 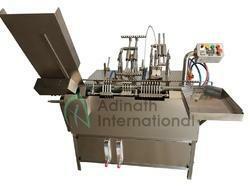 We have in our assortment different types of bottle filling line suitable as per small, medium and large production. Our range consist 30 bottles per minute, 60 bottles per minute, 100 bottles per minute and 200 bottles per minute. We are giving here below short information of equipments in dry syrup powder filling line. Each machine is suitable to work in line or indigenously. Note: Electrical characteristics can be adjusted as per customer’s domestic power requirements. Rights of technical improvement & modification reserved. Illustrations & dimensions are shown for information purpose only. We are giving here below short information of equipments in bottle liquid filling line. Each machine is suitable to work in line or indigenously. We are among the pioneers in the industry for manufacturing and exporting Vial Production Line. 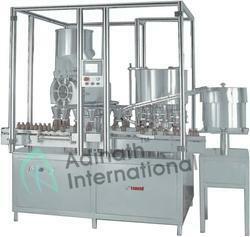 The offered line is used for filling ampoules in pharmaceutical industry and has earned us loads of profits. This filling line comprises of equipment for washing, sterilization, filling, sealing, labeling and inspection of vials and is easy to install as well.